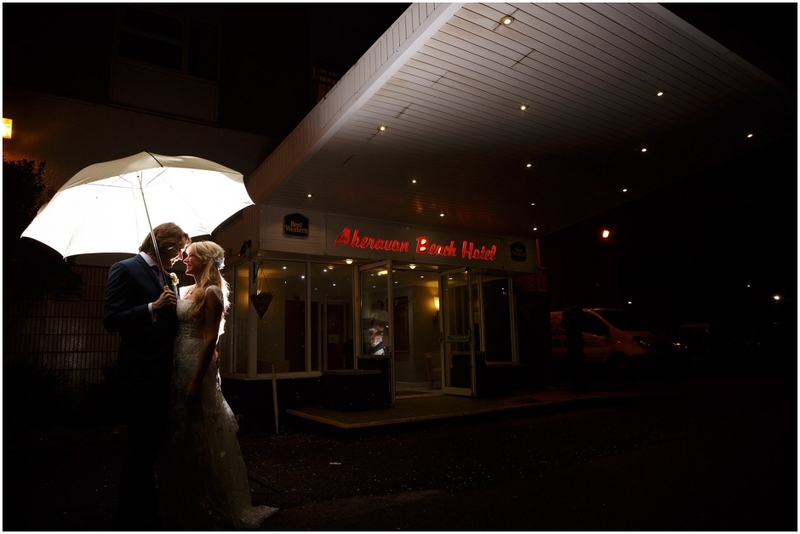 The Best Western Aberavon Beach Hotel in Port Talbot, South Wales, was the venue for my last wedding of 2014. Louise looked stunning the whole day. When I popped up to see how she was getting on, I found her fully ready to go with ample time to spare. She had done her own hair and makeup to professional standards, having studied and practiced her wedding look to make sure it was perfect on her wedding day. Olly arrived at the Aberavon Beach Hotel in a friend’s campervan, along with several close friends. As you can see, the wind was picking up, blowing his hair everywhere! Luckily the rain was holding off at this point. After their memorable wedding service, we quickly worked through formal photographs before heading out towards the beach for their couple shoot. 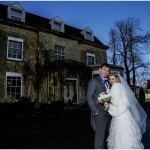 Not many brides would be as brave as Louise was to head out into the wind and wet on their wedding day. We were determined to make the most of the beach side location for their wedding pictures, as it was a key reason they chose to get married at the Aberavon Beach Hotel. Luckily, the torrential rain stopped just as we were about to head out, leaving just a strong wind blowing. We took umbrella’s out with us, just in case… but unfortunately the wind literally destroyed these within seconds of arriving at the sea front promenade. What a sky though! We were certainly rewarded for our endeavours. The sun was just peaking through the dramatic clouds to make an awesome background for their pictures. These are some of my favourite pictures of the year, achieved by carefully exposing for the sky and using flash to balance the exposure on Louise & Olly. After dinner there was a short gap in the wedding itinerary before the evening guests were due to arrive, so were able to pop outside again for a few creative pictures in the early evening darkness. The evening celebrations were in the ballroom at Aberavon Beach Hotel, with a live band keeping everyone dancing. Louise had changed into her second wedding dress for the dancing and again looked fantastic. They didn’t have a formal first dance, but I managed to grab a few pictures of them dancing together late in the evening. Most photographers would be back home and in bed by this point in the night.